This year’s Chapter Approved will follow in the tracks laid down by last year’s custom Land Raider rules. Only this time they are getting an Orky twist with Looted Wagon rules! The conversion possibilities are virtually endless when you can loot pretty much anything! I know ork players are some of the most creative bunch out there so I can’t wait to see what they come up with when these rules hit the table. The key is to get your hands on some styrene aka “plasticard” – it typically comes in sheets and you can find different thicknesses. Any good hobby store will have loads on hand. From there…well, watch the video. There are lots of cool tips and tricks from Adam. It’s a 26 minute video, but it’s definitely worth the watch. 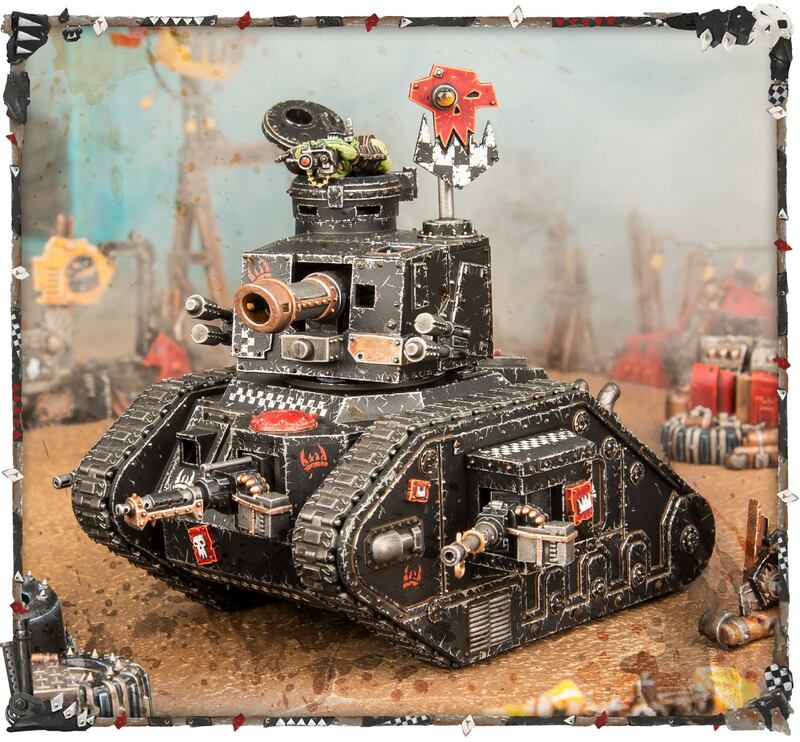 Alright Ork players – what are you looking forward to looting? Leman Russes? T’au Stormsurges?! A Tyranid Carnifex… can you even do that? I’ll leave that up to your imagination!